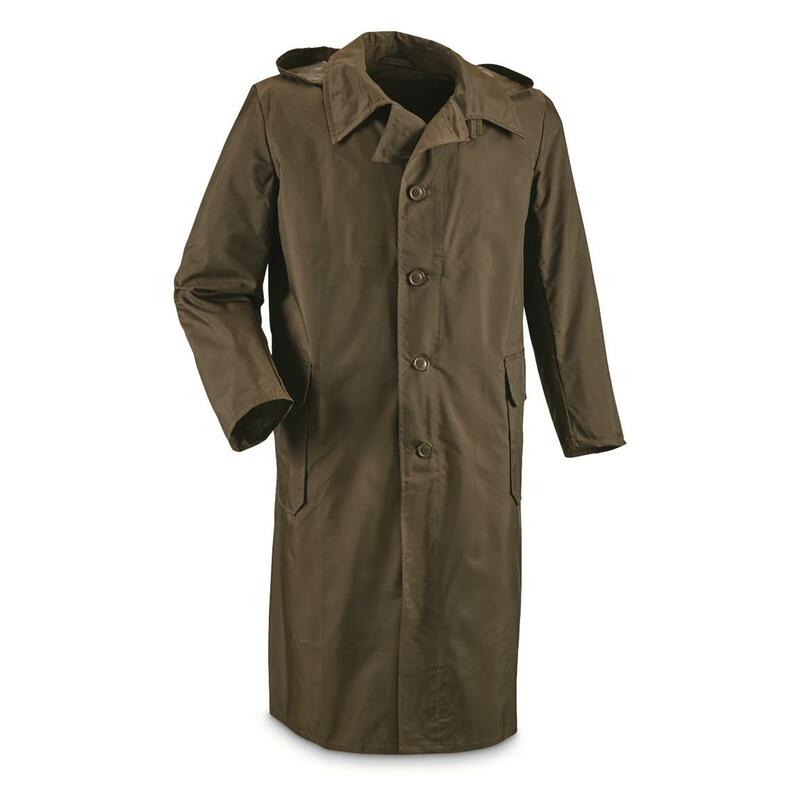 Full-length protection for the dampest, rainiest days. Take on the rainiest days with this new Czech Military Surplus Raincoat. Made from rubber-backed nylon and outfitted with a hood and a button-up choker collar, you can count on it to keep you dry.